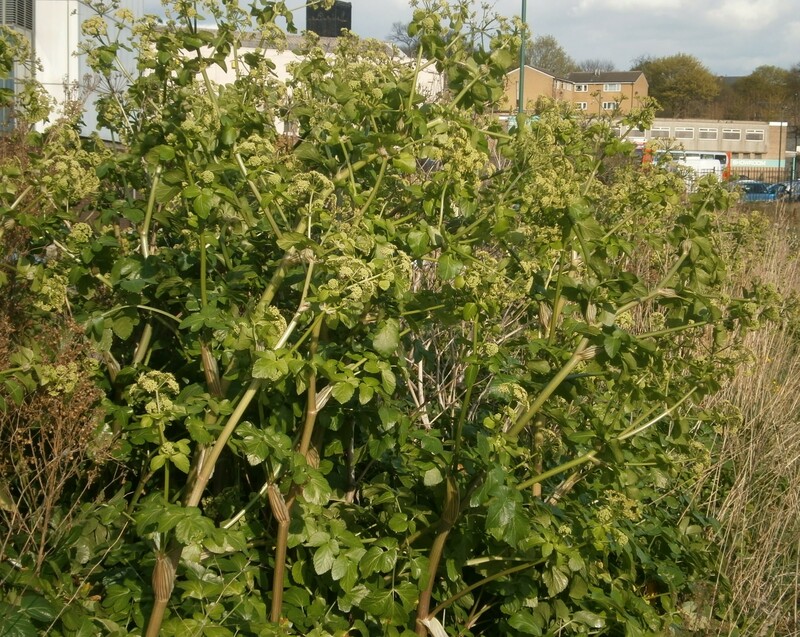 Recently I noticed a vigorous growth of Alexanders (Smyrnium olusatrum) growing on “The Island” wasteland site near the city centre…..
Alexanders is a tall, glossy plant in the carrot family, with yellow flowers arranged in umbels…. The species was introduced by the Romans as a food plant; now it grows mostly in coastal areas, although it is sometimes found inland on wasteground. The inland island where I found it is a former industrial site between Sneinton and the city centre. Despite various schemes to develop the site, it survives, to the benefit of wildlife and informal recreation. It’s also the Nottingham focus of the Wasteland Twinning project. 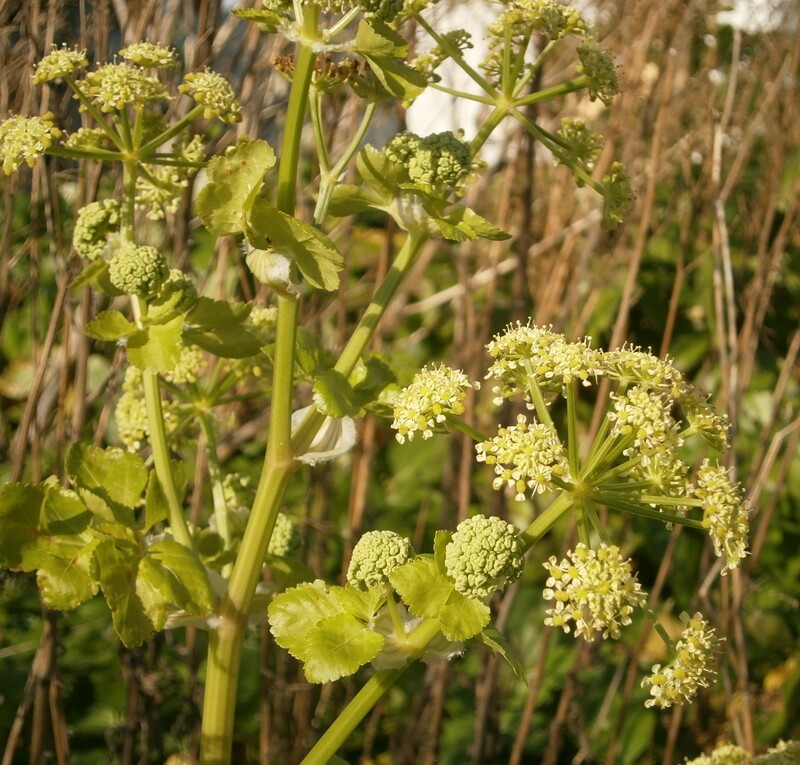 Alexanders is a useful plant for the forager – see here and here for some ideas on how to enjoy it. However, it should only be used if you are 100% certain you have identified it correctly – it has some very poisonous relatives….. This entry was posted in Photography and tagged Brownfield, City Centre, Foraging, Wild Flowers. Bookmark the permalink.